SportGait Mobile delivers context-driven knowledge across platforms using CDC information to help parents, coaches, and other on-field personnel make the right decisions when a potential head injury occurs. This easy to use app reduces considerable stress for coaches and staff while keeping athletes safer. Our SportGait Mobile and Medical applications are synced to provide continuity of communication between medical providers, athletes and parents from the field all the way through recovery. SportGait Medical helps medical providers manage brain injuries from patient acquisition through referral and recovery. Patients are delivered to SportGait Medical Partners who we equip and train to administer SportGait Brain PhysicalTM Baselines, Evaluations, and Recovery visits. Actionable data is gathered, and a standardized approach is presented for Doctors to determine next steps. 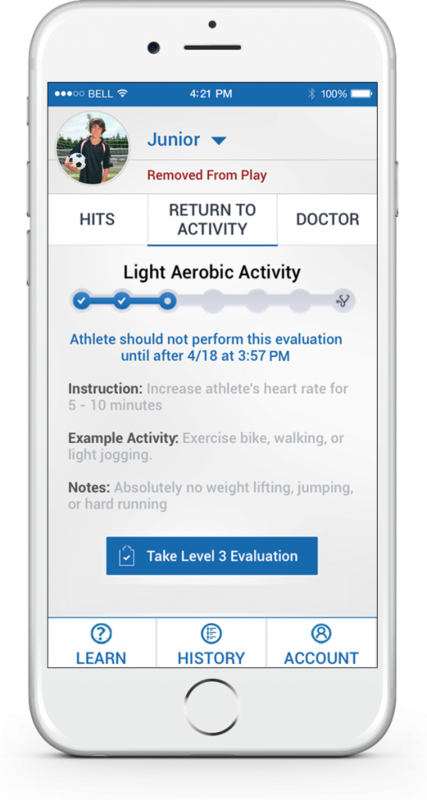 SportGait rigorously tests and curates the best proprietary and 3rd party evaluations. Concussion is a diffuse injury to the brain affecting numerous brain functions, including both neurocognitive processes and motor control. SportGait’s Platform-as-a-Service is modular, and any new devices or decision support tools can easily be integrated when they prove to be effective. We are particularly focused on maintaining high validity and reliability for any tools we select.